These days, an injectable dermal filler is the most commonly used method of lip augmentation. 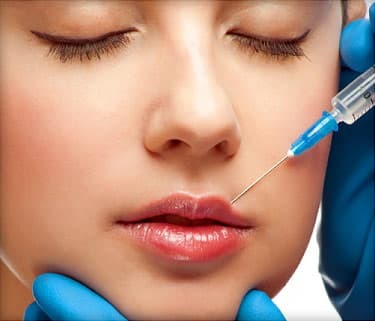 There are many types of dermal fillers that can be injected into your lips and around your mouth. But the most common fillers today are products that contain substances similar to hyaluronic acid. Hyaluronic acid is a natural substance found in the body. It helps increase volume in your lips. Collagen, once the most common dermal filler, is used less often today. The newer options are safer and the effects last longer. Fat injections and implants are other methods to plump lips. But they aren’t used as much today because the results vary and there is a greater risk of side effects. All of these products are injected in the same way and give you similar results. And some contain lidocaine, a local anesthetic. Once injected the gel in the filler supports and shapes the tissues of the lips.